Dams and reservoirs in Afghanistan are used for irrigation, water supply, hydro-electric power generation or combination of these. All the dams and reservoirs in Afghanistan are listed below. Band-e Pashtun in the Pashtun Zarghun District of Herat province in western Afghanistan (under construction as of 2019). Shahtoot Dam in the Char Asiab District of Kabul Province, which will cost around $230 million to build. Manogi Power Dam in Kunar province, which will generate approximately 1000 MW of electricity. Kunar Dam in Surtak (approximately 300 MW) in Kunar province, to be constructed in the next 12 years after 2013. ^ "India's Controversial Afghanistan Dams". The Diplomat. August 20, 2018. Retrieved 2019-04-01. ^ "Naghlu Dam Hydroelectric Power Plant Afghanistan". Global Energy Observatory. Retrieved 17 September 2018. ^ "Sarobi Dam". industryabout.com. Retrieved 17 September 2018. ^ "Mahipar". energypedia.info. Retrieved 17 September 2018. ^ "Mahipar Hydroelectric Power Plant". globalenergyobservatory.org. Retrieved 17 September 2018. ^ "At Afghan dam inauguration, PM promises: India will not forget you". indianexpress.com. Retrieved 17 September 2018. 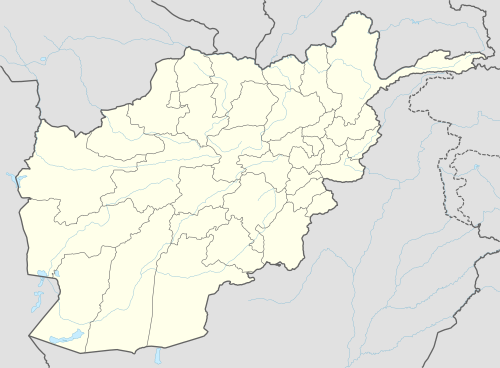 Wikimedia Commons has media related to Dams in Afghanistan and Reservoirs in Afghanistan.